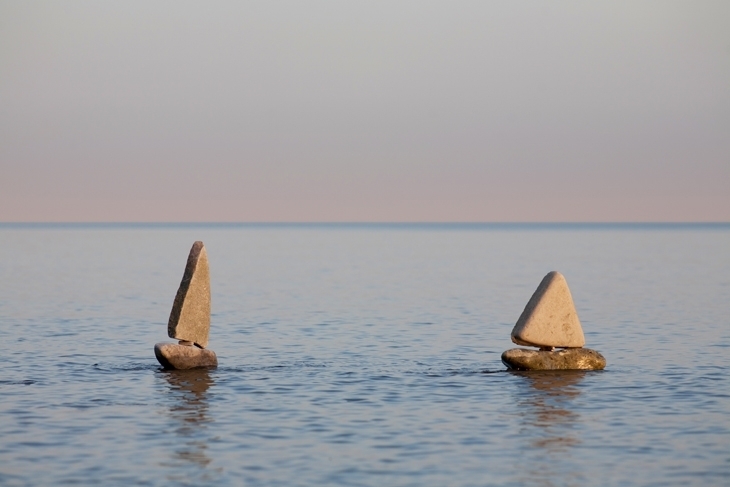 The idea: I hope it’s obvious – stonebalancing sailing boats. The Olympic sailing competition was down the road from me so I wanted to commemorate that and, of course, cash in on the Games! The balance: Unbelievably tricky. At least five attempts on five separate days. Getting stones, tides, flat sea, and sunset in sync was fraught with difficulty. Plus the rocky plinths had to be exactly the same height. Artist’s thoughts: I starting working on this idea in January; four months later it was done. To work with the vagaries of the weather and the sea is a mug’s game, but one day the universe smiled and gave me perfect conditions.